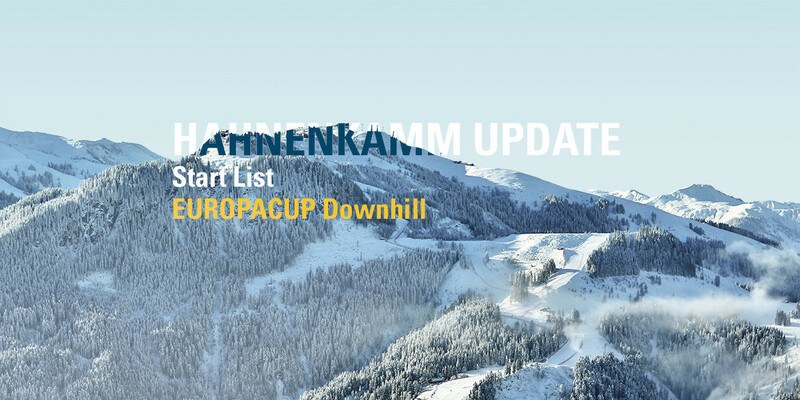 The start list for the Europacup Downhill on the Streif (Monday 10.15 hrs) was drawn on Sunday evening under the glare of the spotlights and with a 100-strong audience. The race will be broadcast live on ORF1 – a first in the history of the Europacup. Check out the start list here. During the concluding Team Captain’s Meeting for Europacup Teams, K.S.C. President Michael Huber had previously taken the opportunity to emphasize what a pleasure it was for the Organizing Committee Team to host this discipline for the first time and that it would further enrich the Hahnenkamm Week. Trainers also took this opportunity to dish out some compliments: The Piste Teaam and Chief of Race, Axel Naglich, have given the young athletes the opportunity to take time in acquainting themselves with the Hahnenkamm Downhill racecourse – an experience that will certainly help them in their subsequent careers.